On March 11, 2011, a magnitude-9 earthquake shook northeastern Japan, triggering a tsunami leaving chaos and destruction in its wake. One domino effect was the radioactive water leak at the Fukushima Daiichi Nuclear Power Plant complete with a level 7 nuclear meltdown. During this time of crisis, a host of media and documentation was generated. News reports, video, photos, interviews, tweets, and other records of the event flooded in with the ongoing devastation. What happened and how the challenges the tsunami wrought were met are invaluable both from the perspective of historians and archivists, but also for bettering response times and methods the next instance of natural disaster occurs. 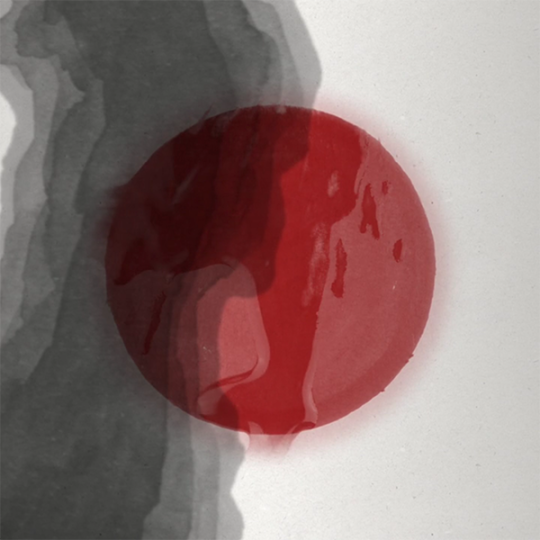 “A project of Harvard University’s Reischauer Institute of Japanese Studies, the Digital Archive of Japan’s 2011 Disasters is an evolving, collaborative space for citizens, researchers, students, and policy makers, and a site of share memory for those most directly affected by these events.” For the archive, I created an animation to showcase the scope and ambitions of the project in its then current iteration. Stylistically, I chose to try and evoke some sense of sumi-e brush painting. The choice was made in part to embrace a limited color palette—grayscale with red accents. It was also made because the fragile dependency of the medium upon water, which seemed pertinent given the subject matter. I feared that the flat design I tend to embrace would seem cold and corporate in this context so I drew icons based on the website and other images and then photographed them to make the raw pieces for the animation, which I then did digitally. The media examples are all actual samples from the archive itself. Wanting a fine tip of control but not being too practiced with calligraphic brush work, I created layered images by dipping a felt tip pen in water and treating it like a water color brush. The longer I let the pen tip linger in the water, the lighter the strokes would be until the ink higher up the stem of the pen had a chance to trickle down and reabsorb. The final piece above, screened at the United Nations, among other venues as part of follow up reporting on the 2011 disasters’ 4-year anniversary. The animation is cut to “Senbazuru,” a musical composition by Kevin MacLeod (incompetech.com), licensed under Creative Commons: By Attribution 3.0 (http://creativecommons.org/licenses/b…). Hey Buddy!, I found this information for you: "Digital Archive of Japan Disasters". Here is the website link: http://devsite.cristoforomagliozzi.com/video/digital-archive-of-japan-disasters/. Thank you.